Knee Class is appropriate once stitches or staples have been removed (2-3 weeks post-surgery). No referral needed. 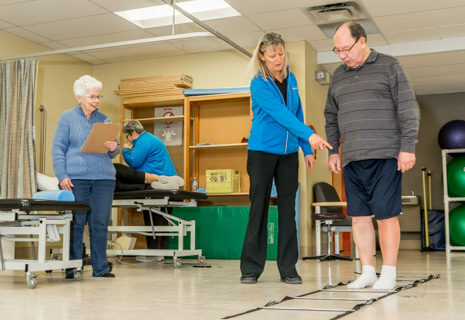 $0 enrollment on membership when participating in Post Knee or Hip Replacement Rehab at the Wellness Institute. All prices subject to change and applicable tax. Our clinic direct bills Blue Cross, MPI and WCB. Most insurance plans provide partial or full coverage, however, private payments are welcome. Read more about this innovative group approach.